39 F. high in the Twin Cities Friday. 53 F. average high for October 26. 51 F. high on October 26, 2011. 1.30" rain so far in October at KMSP. .82" rainfall deficit for October, to date. A Quiet Spell. While all heck breaks loose out east, a ridge of high pressure aloft stalls over the central USA, treating us to dry, partly sunny skies thru most of next week. Expect mid 40s today, mid to upper 40s Sunday, with a few days at or above 50 next week. Halloween? Partly to mostly cloudy with highs in the upper 40s to near 50 - probably dry. We've seen worse (1991 comes to mind). Data above courtesy of ECMWF. Significant Rains For Some. Here's an excerpt of Mark Seeley's (always-excellent) WeatherTalk blog: "Then over Wednesday night and Thursday additional persistent rains fell in southeastern Minnesota where Lanesboro and Harmony reported 2.15 inches, Spring Valley 1.77 inches, Winona 1.70 inches, Zumbro Falls 1.67 inches and Chatfield 1.30 inches. Elsewhere in eastern counties snow and snow flurries were widely reported on Thursday, though most were not significant amounts. Among those getting measurable snowfalls were Babbitt and Cook with 3 inches and Ely with 4.8 inches. Total rainfall for the week was equivalent to an entire month of October for some, but these observers were few and far between. There was relatively little change in drought status across the state. You can find more on this at.....http://climate.umn.edu/doc/journal/drought_2012.htm". Photo: Brad Birkholz. Will this storm be as bad as the media is portraying? 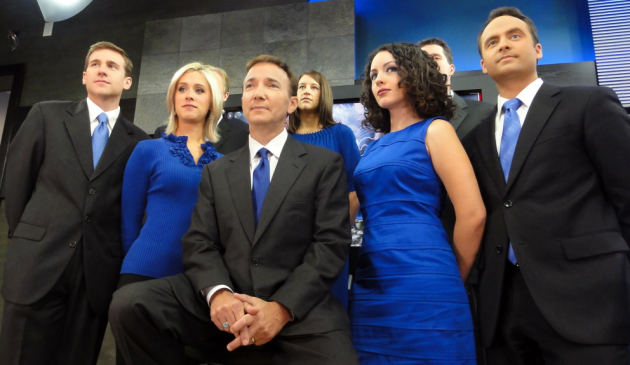 Is it more meteorological hype? I don't think so, because of a convergence of factors. 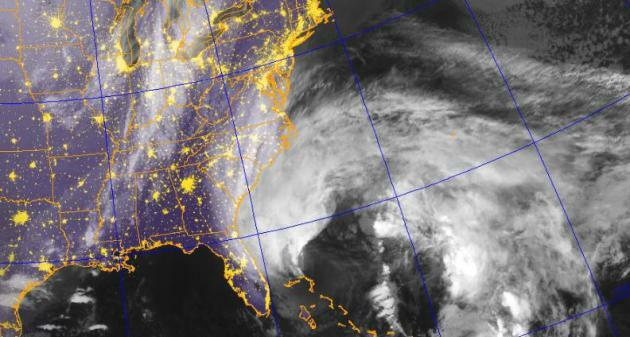 Sandy is a massive storm, forecast to be 500 miles wide, with a cone of hurricane-force gusts nearly 200 miles in diameter. 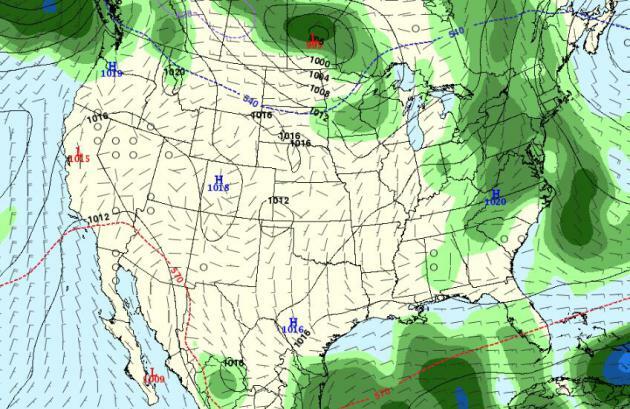 The storm is predicted to move slowly, blocked from shooting north by a stalled high pressure bubble. Throw in a full moon (Monday afternoon) and 50 million Americans in the high-impact zone, and you have a recipe for trouble. 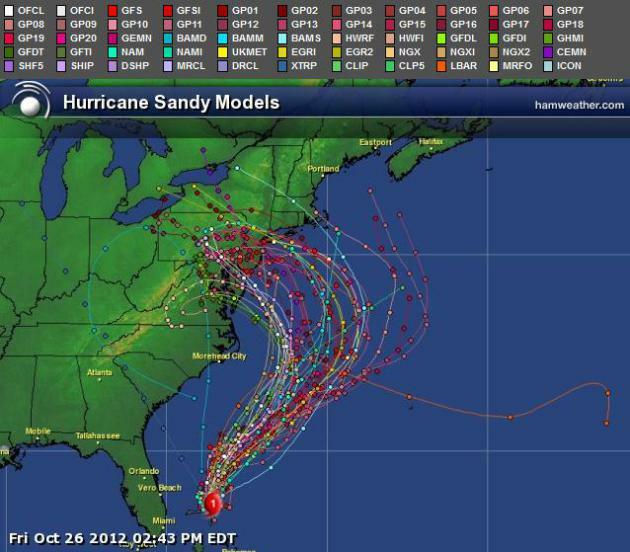 Landfall is most likely in Delaware, but models are nudging the track north over time. New York and Long Island are not out of the woods; the worst storm surge (10-20+ feet) just north of where Sandy hooks inland Monday or early Tuesday. The lesson of Hurricane Irene last year: don't underestimate the threat posed by inland flooding, which will impact the most people. Unlike 1991's "Perfect Storm" over New England we don't have a storm nearby. No, we won't get 30 inches of snow this time around. We enjoy cool sun into most of next week with a warming trend; highs near 50 for Halloween. The next chance of rain: a week from today. No weather worries. National Weather Service: "A Storm Like No Other". Details (and video) from The Associated Press: "The National Weather Service says Hurricane Sandy is an extremely unique storm that will hit the U.S. with strong winds and rain, potentially causing massive damage." 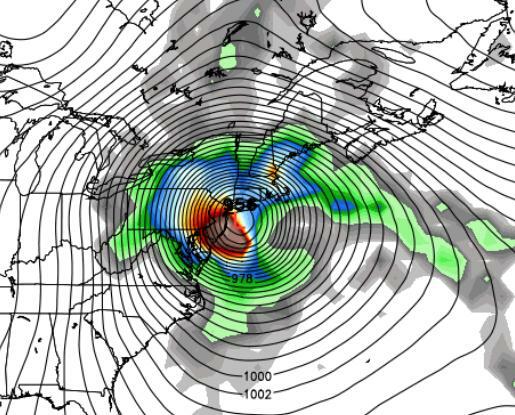 Frankenstorm 2012: Sandy "Hybrid" To Hit Northeast. We're seeing a higher amplitude weather pattern in recent years, weather systems deeper, moving slower. Could record Arctic ice melt this summer be having an impact, helping to generate fewer (but stronger) storms like Sandy's spawn? Details from Huffington Post; here's an excerpt: "Hurricane Sandy has already slammed Cuba, bringing heavy rain and winds around 110 miles per hour on Thursday, as it moved north. By Friday morning, the death toll had already risen across the Caribbean. Climate Central reported that the jet stream winds boxing in Sandy and creating a "Frankenstorm" are part of "blocking patterns [which] have appeared with greater frequency and intensity in recent years." Some scientists have suggested the patterns could be linked to 2012's record Arctic sea ice loss, which exposes more open water to absorb the sun's energy. Representative Ed Markey (D-MA) released a report Thursday, saying, "If climate change continues unchecked, Hurricane Sandy won’t be our October surprise, it could be the new normal for New England...."
— Gather blankets; temperatures will be 20 degrees cooler after the storm. — Charge cell phones, and buy a car charger for your phone if you don’t have one. — Secure loose items, like patio furniture and grills." Philly Mayor Tells People In Flood-Prone Regions To Leave. State of Emergency in Pennsylvania, and now Philadelphia's mayor is telling locals with a history of flooding to err on the side of caution and get out now. Details from NBC 10 Philadelphia. State of Emergency: Virginia, Maryland, Delaware, Pennsylvania, and New York State (as of Friday night). * Incident management teams and emergency resources are being moved into the Northeast and Mid-Atlantic states. 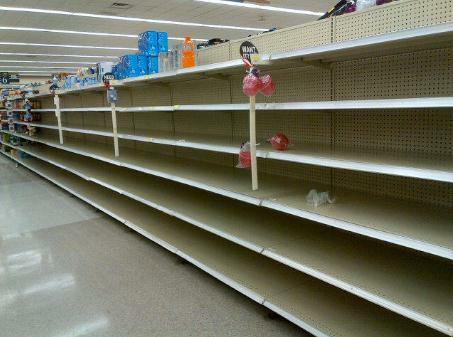 Local officials determine evacuations, not FEMA. Craig Fugate, the FEMA Administrator briefed the President this morning on the possible impacts across the NE and MA. Sandy will change from a tropical system to an extra tropical system sometime soon. It is still too difficult to pinpoint exactly where the system will hit, but confidence is at 90% that it will hit the NE. * This was the interesting thing: The storm could cover the eastern third of the country. Winds greater than 50 kts (58 MPH) are expected from the Carolinas to Maine. There is a full moon on Monday and astronomical tides peak shortly after that, exactly when Sandy would hit. Snow is expected in West Virginia and as far east as Ohio on Tuesday. * The Navy is moving ships out of Hampton Roads, Norfolk, VA in preparation for Sandy. The stage is set for an historic storm over the Mid-Atlantic and southern New England early next week, an unfortunate convergence of meteorological (and astronomical) events, leading to the formation of a huge storm capable of widespread damage, from winds, waves and inland flooding. I am not an economist, but based on where the highest impacts are predicted, I see no reason why this won’t be a billion dollar storm, capable of extended power outages, beach erosion and coastal flooding that may take weeks to repair and restore. 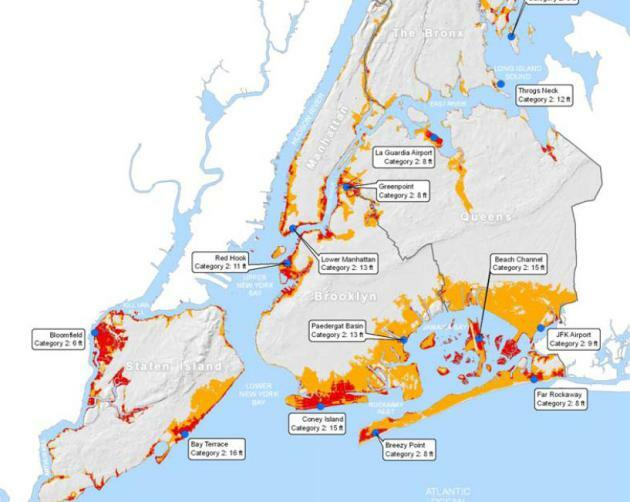 * Maps below include “SLOSH” predictions for a Category 1-2 hurricane for New York City, courtesy of the New York City Natural Hazard Mitigation Plan (2009). 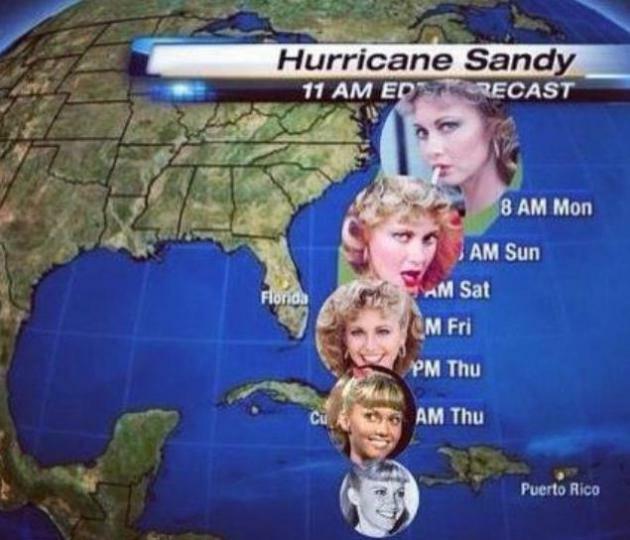 What makes Hurricane Sandy different? 1). Size of the storm. Sandy will be nearly 500 miles wide within 48 hours, with a 300 mile radius of tropical storm force winds, and a 100-200 mile radius of hurricane-force wind gusts Sunday night into Tuesday. 2). Duration of the storm. 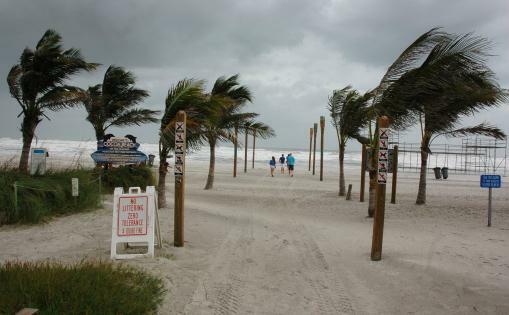 Unlike Irene, which moved quickly ashore late August, 2011, Sandy, a hybrid hurricane/Nor’easter, will move slowly, “hooking” westward, prolonging the amount of time sustained, high winds can carve out a significant storm surge, and extending the period of time when flooding rains will fall well inland. 3). Astronomical Bad Luck. A full moon is coming Monday afternoon, about the time Sandy will be pushing toward coastal Delaware or New Jersey, increasing tides, making the resulting storm surge even more severe. Hurricane Sandy has weakened slightly in the last 24 hours, now a minimal Category 1 storm with 75 mph sustained winds. But don’t be fooled – a jolt of energy from an approaching surge of much colder, Canadian air will reenergize Sandy, causing it to strengthen significantly into the weekend. The analog is Hurricane Grace in late October, 1991 – some of the energy and moisture from Grace went on to fuel “The Perfect Storm”, which battered New England with hurricane-force winds on Halloween, 1991. 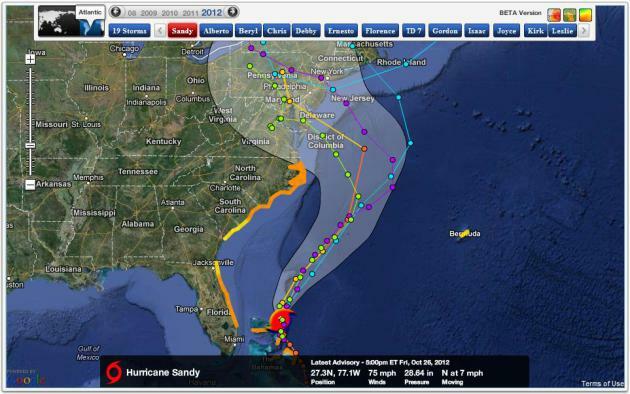 There is growing speculation that “Sandy” could be considerably worse than “Grace” in 1991, and Irene in late August of 2011, due to the size and duration of the storm, as well as a full moon (Monday) - and the population centers impacted. Image: Naval Research Lab. Tropical Storm Watch. 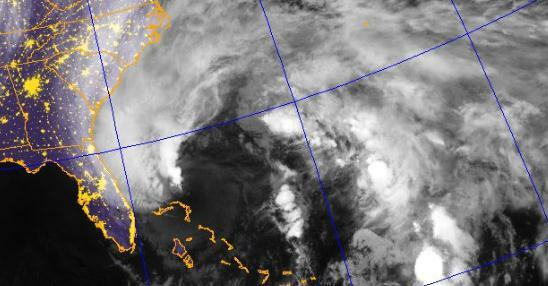 NOAA NHC has extended a Tropical Storm watch from Savannah northward to the Outer Banks of North Carolina. I expect this to be upgraded to a Hurricane Watch for the Outer Banks by tomorrow morning, and Hurricane Watches/Warnings may have to be issued as far north as Long Island, Providence and Cape Cod by Sunday night and Monday, depending on the final track and intensity. It’s important to follow instructions from local authorities, and now wait until the last moment to evacuate. I’m especially concerned about barrier islands, from North Carolina to Long Island, and the amount of time necessary to safely evacuate residents from the most vulnerable regions, within 5-8 feet of sea level. My advice: get out ahead of the curve and move people faster, especially those near sea level. Image: Ham Weather. Model Ensemble. There has been a slight northward shift in the models in the last 12 hours. Although the most likely track of Sandy brings the core/eye of the storm into coastal Maryland or Delaware late Monday or very early Tuesday, a slight northward wobble in the track would bring the strongest winds/surf into New Jersey and metropolitan New York/Long Island. It’s this scenario that I’m most concerned about. Map: Ham Weather. * The odds of serious flooding/storm surge impacts in New York Harbor and the southern coastline of Long Island have increased from 30 to 40% in the last 12 hours. 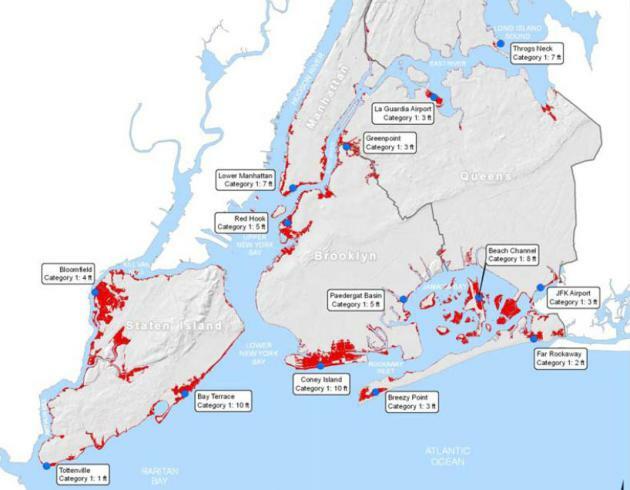 Your contingency plans need to include metro New York and Long Island. Most Likely Landfall. Based on model trends the most likely landfall is near Bethany Beach or Rehoboth, Delaware during the very early morning hours on Tuesday, September 30. But keep in mind that the strongest winds – highest storm surge – will come within 24 hours of landfall, so conditions will deteriorate Sunday, with the worst wind/wave/flooding Monday into Tuesday. Model guidance: NHC and Ham Weather. European Solution. 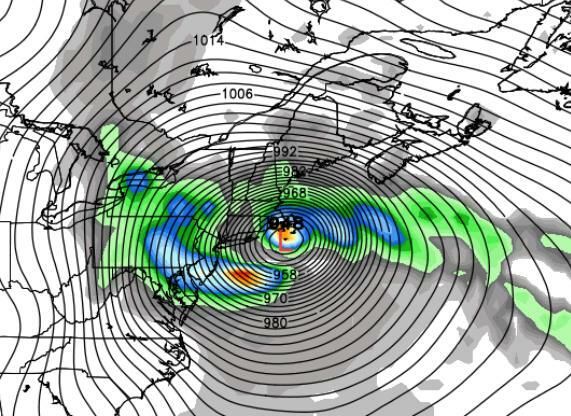 The ECMWF has done the best job with Sandy, to date, so I’m putting more weight on this solution. The latest guidance shows Sandy tracking almost due west Monday into early Tuesday, pushing a surge of water into southern New England, Long Island and New York Harbor, before the eye/center of this hybrid storm comes ashore over southern New Jersey or Delaware Tuesday morning. This constitutes a slight northward shift to the track from previous model runs. It’s worth pointing out that NHC, the National Hurricane Center, is putting much more weight on the ECMWF and the GFS models for their (official) forecasts, in essence splitting the difference between the two. Images above: WSI Corporation. NOGAPS Model. The Navy’s NOGAPS model has a more northward solution, one that prove much worse for southern New England, from Cape Cod to Martha’s Vineyard, Long Island and metro New York City. As such it falls fairly closely into line with the GFS model (below). Map above: Weather Bell. Why Boston Residents Can’t Let Their Guard Down Just Yet. There’s still a (disturbingly) large spread in model solutions. By this time, within 72-82 hours of landfall, you would expect more agreement between the models, but that’s not to be, at least not yet. The GFS is something of an outlier, with a (much) farther northward track, one that would prove damaging for Boston and Cape Cod. With a sustained (offshore) wind flow over New York this solution would actually spare New York Harbor and Long Island from the worst storm surge, but Boston might wind up enduring a 1 in 100 year storm/flood. Right now our official track forecast splits the difference between the ECMWF and the GFS, with probable landfall from Delaware into southern New Jersey. Near-Blizzard Conditions. Well inland, enough cold air may be in place for a foot of snow or more over the hills of West Virginia, enough snow to plow and shovel over parts of western Pennsylvania. Map: Weathercaster.com. 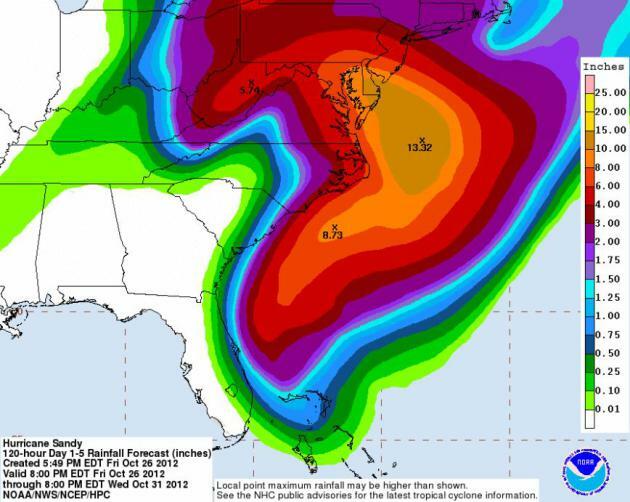 Why Sandy Is No Irene. 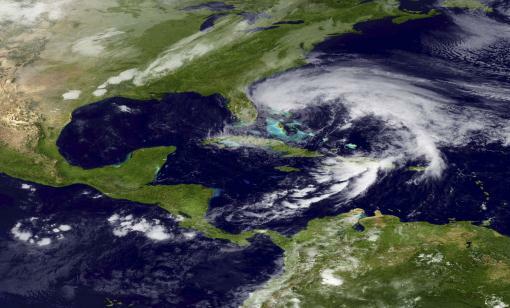 Irene was a big fizzle, at least for New York City, where the storm surge wasn’t nearly as severe as many had feared. Irene moved quickly, 30 mph to the north/northeast. There was less time for extended winds to create a powerful storm surge for New York Harbor and Long Island. 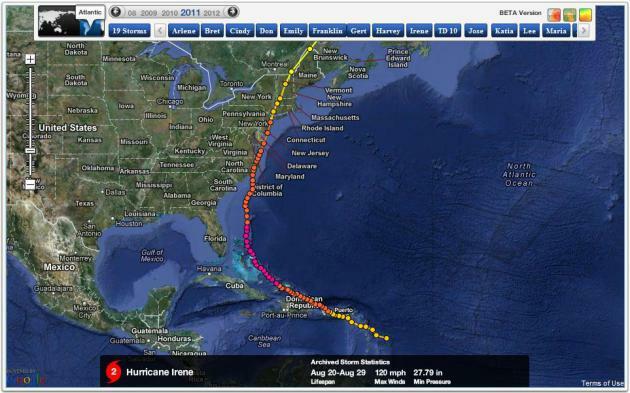 Not to minimize the headaches and heartaches triggered by Irene - but the storm surge wasn't nearly as bad as predicted. By comparison Sandy, or what Sandy mutates into, will move slower, not racing northward, but curving westward, leaving more time to generate a significant storm surge. The surge is created by the combination of sustained winds, low pressure and underwater geological considerations, the slope of the continental shelf. The result: a bulge of water some 5-15 feet above normal high tide that pushes ashore near the eye/center of the storm. Image: Ham Weather. 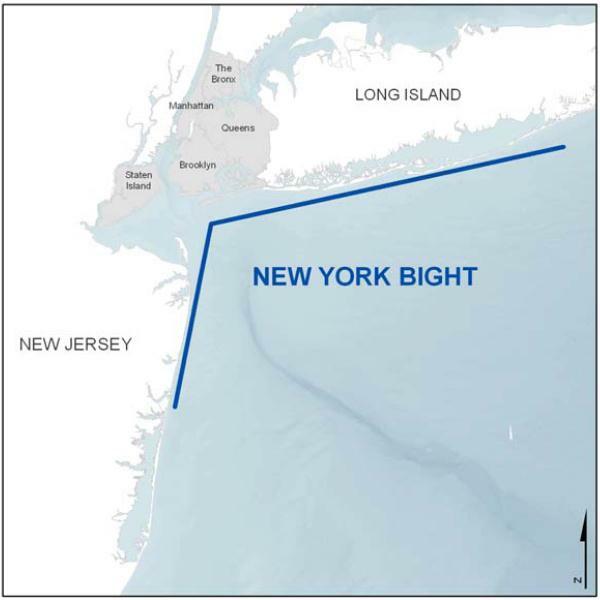 The New York Bight. New York City is at a geographical disadvantage; the combination of sustained east/southeast winds can funnel water toward the Hudson Valley Shelf. This “piling effect” can compound a storm surge, especially when a major storm tracks 25-100 miles south of Manhattan. Expect to hear more about the New York Bight and how this might magnify a predicted storm surge Monday into early Tuesday. Vulnerable Areas In A Category 1 Hurricane. Lower Manhattan, portions of Brooklyn, Queens and Staten Island would be inundated during a Category 1 storm, especially one that passes just south of New York, with southeast winds at the surface, funneling water into the New York Bight. 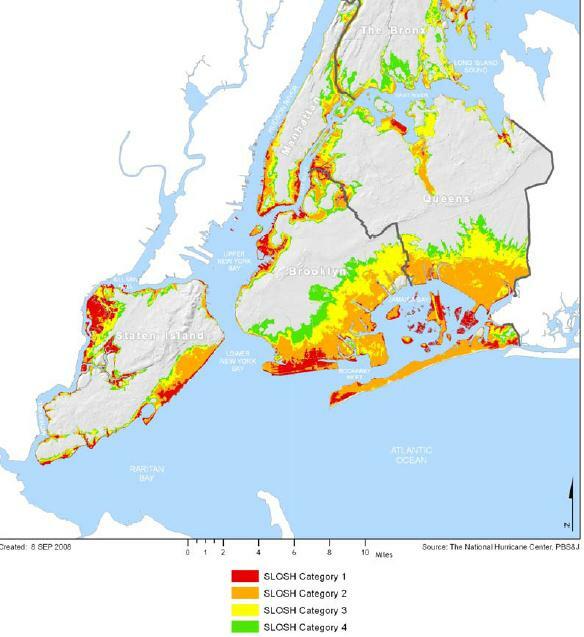 Maps courtesy of the New York City Natural Hazard Mitigation Plan (2009). Vulnerable Areas In A Category 2 Hurricane. The area at risk expands from a Category 2 storm, with sustained winds over 95-100 mph. This seems unlikely right now – if Sandy does impact metro New York and Long Island it will probably be as a Category 1 hurricane, or equivalent Nor’easter. Summary: Meteorological and astronomical conditions are aligning for a 1 in 100 year storm for much of the Northeast and Mid-Atlantic region. Although a precise landfall estimate from Sandy remains unclear, residents from coastal Maryland and Delaware northward to New Jersey, New York City, Long Island, Providence, Cape Cod and Boston need to be on high alert, with contingency/evacuation plans ready to go. The greatest probability of landfall from Sandy is coastal Delaware or south Jersey Monday night and early Tuesday, but the trend is for models to nudge this landfall zone north over time. We know Sandy is going to be an historic storm – and in spite of lingering uncertainty focused on the exact location of landfall, it would be prudent to take all necessary precautions to safeguard life and property, especially coastal regions, within 5-8 feet of sea level, from Ocean City, Maryland and Rehoboth, Delaware northward to coastal New Jersey, metro New York, Long Island and Cape Cod. The impacts from Sandy may be felt well into November. 120 Hour Rainfall Forecast. 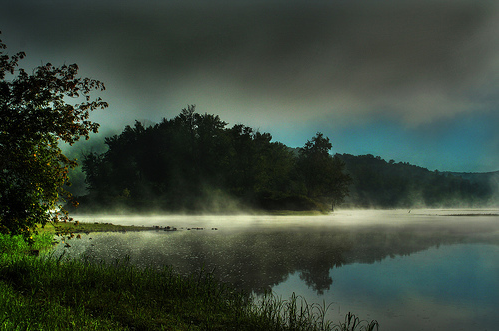 The big lesson from Hurricane Irene last year: don't underestimate inland flooding from hurricane rains. The winds and waves get the most attention, but often more people are impacted by severe flooding 50-300 miles inland, in some cases days after landfall. 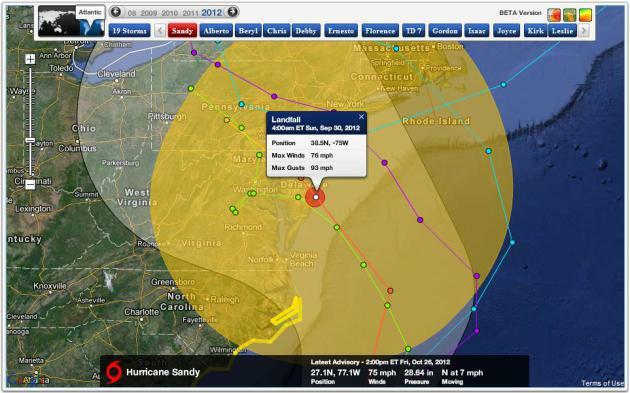 Sandy may produce some 6-10" rains from the Delmarva Peninsula into New Jersey. Map: NOAA HPC. 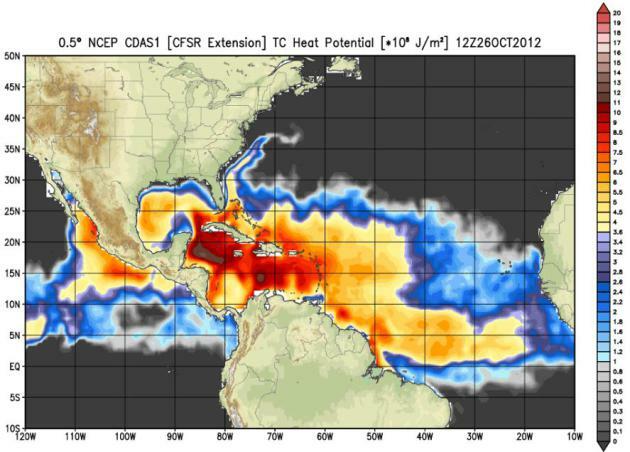 Sea Surface Temperatures. Water temperature in the Gulf Stream are still a few degrees warmer than average, which may sustain Hurricane Sandy unusually far north (for late October). The storm will become extra-tropical, deriving most of its energy from a sharp temperature contrast and a deepening trough of low pressure as high-velocity winds tighten up the pressure gradient - a blocking fair weather high over Greenland preventing Sandy from accelerating north, out to sea, turning it inland by Monday. Map: NOAA. 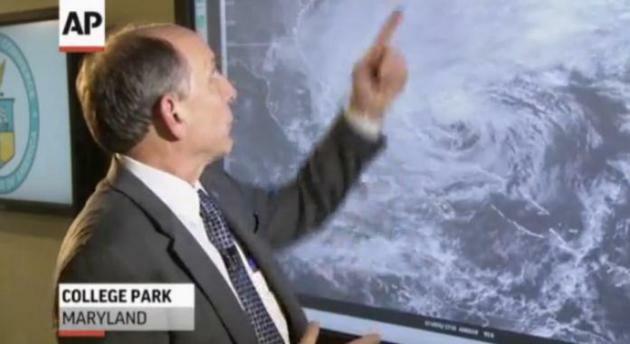 Experts: Team Obama Should Root For Hurricane Sandy To Interrupt Election. And what a mess that would be; U.S. News and World Report has an intriguing story - here's an excerpt: "...Pastor says a natural disaster that impacts the election would "stretch the fabric of American Democracy to the point of being torn" because, in many cases, local disputes over voting "would be addressed in an area where one party is largely dominant and the rules are extremely weak." So far, American elections have been fairly natural disaster-free. Hudak says there have been some "small scale issues" with blizzards in the upper plains and Rocky Mountain states in previous elections. With any luck, that streak will continue in 2012. But even if Sandy isn't catastrophic, inclement weather throughout the country could have a more predictable impact on the election..."
* Election In Sandy's Shadow. Politico.com reports on the implications of Hurricane Sandy complicating the 2012 Election; details here. Election Day Weather. Here is the GFS (very extended) Outlook for Tuesday evening, November 6. Showery rains are likely from Ohio into much of the Northeast, a few showers from the Twin Cities and western Wisconsin, dry weather over most of the south and west. "From what I read, Hurricane Grace hit the NE US in Halloween 1991 and created the Perfect Storm. Of course, Minneapolis also got hit with the Halloween Blizzard of 1991 about the same time. With Sandy bearing down on the NE Coast and with some predicting another Perfect Storm in that area, what is different in the Upper Midwest's atmospheric conditions that there isn't even a hint of snow here for this year, let alone a Blizzard? For those not meteorologically gifted, there would seem to be some parallel to 1991 conditiions and what's predicted for this year's Halloween's weather. Please explain the difference in weather conditions between this year and 1991. Was there a connection between Grace and the Halloween Blizzard, and if so, why isn't that forecasted for this year? It's not like I miss 29" of snow, but would appreciate an explanation." TJ - thanks for a great question. The big difference this time around: there are no storms nearby, capable of stalling and squeezing out heavy, sustained rain (or snow). The 1991 "Perfect Storm" stalled over New England, which caused a Minnesota storm to stall over Lake Superior, prolonging our snow for 2-3 days, whipping up nearly 30" of snow (as many of us remember vividly). This time around high pressure will stall overhead, keeping us partly sunny, cool and quiet into much of next week. Some People Have Too Much Free Time. No, Sandy is no laughing matter. I'm sorry - very poor taste. I will be punished. Mostly Gray. No, the sun never quite appeared, lumpy stratocumulus clouds lingering most of the day, spitting a few flurries up north. Highs ranged from 39 at St. Cloud, Alexandria and the Twin Cities to 42 at Eau Claire. * next chance of rain comes next Saturday. It May Be Too Late To Start Global Warming. I'm a naive optimist, but I agree. We have to move from ill-fated attempts at (global) regulation, which are probably doomed to failure... to adaptation, and quickly. 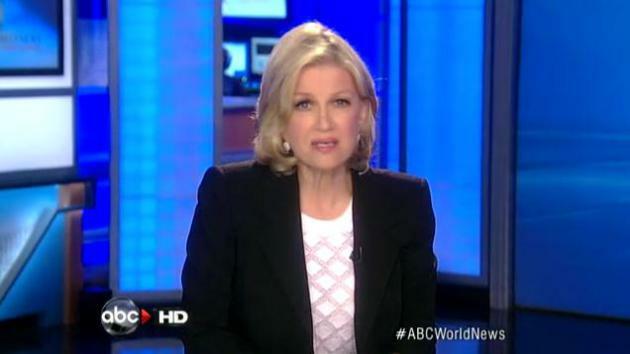 ABC News has the story - and video clip with Diane Sawyer; here's an excerpt: "Here's a dark secret about the earth's changing climate that many scientists believe, but few seem eager to discuss: It's too late to stop global warming. Greenhouse gasses pumped into the planet's atmosphere will continue to grow even if the industrialized nations cut their emissions down to the bone. Furthermore, the severe measures that would have to be taken to make those reductions stand about the same chance as that proverbial snowball in hell. Two scientists who believe we are on the wrong track argue in the current issue of the journal Nature Climate Change that global warming is inevitable and it's time to switch our focus from trying to stop it to figuring out how we are going to deal with its consequences.."
I am surprised it didn’t come up in one of the debates. Terrifyingly true … although President Obama and Vice President Biden literally had hours of opportunities to raise the issue since, after all, it is related to domestic and foreign policy, to budget issues and security, and to energy issues where we had President Obama and Mitt Romney arguing over who was the better friend to fossil fuels. (Hint … Romney did win this but the President made him work for the title.)" Could Climate Change Be The Epitome Of Partisanship? Pacific Standard has a thought-provoking story; here's a snippet: "It’s the issue that dare not speak its name – climate change. As the New York Times, NPR, the Associated Press and a host of pundits, including our Tom Jacobs, have noticed, talk of global warming has been banished from the hustings in this year’s U.S. presidential campaign. While both Barack Obama and Mitt Romney embrace talk about energy – whether from fossil fuels or renewable sources – with various amounts of gusto, the focus is always economic, not environmental. Despite his muted voice this year, in years past Obama has been an ardent believer in anthropogenic climate change. Romney has said he accepts the that the planet is warming, and that people have played some part in the increase, but it’s never been a centerpiece of his platform. The environment is not among the 27 issues on his campaign website, although energy is, and his position has seen a rightward shift, as CBS News described it..."